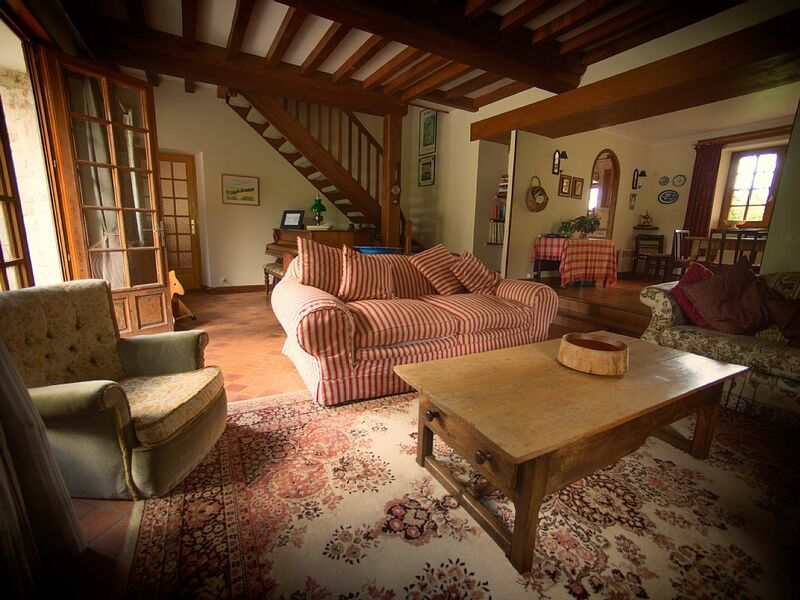 Pond Cottage is situated within the grounds of Chateau Monfreville. 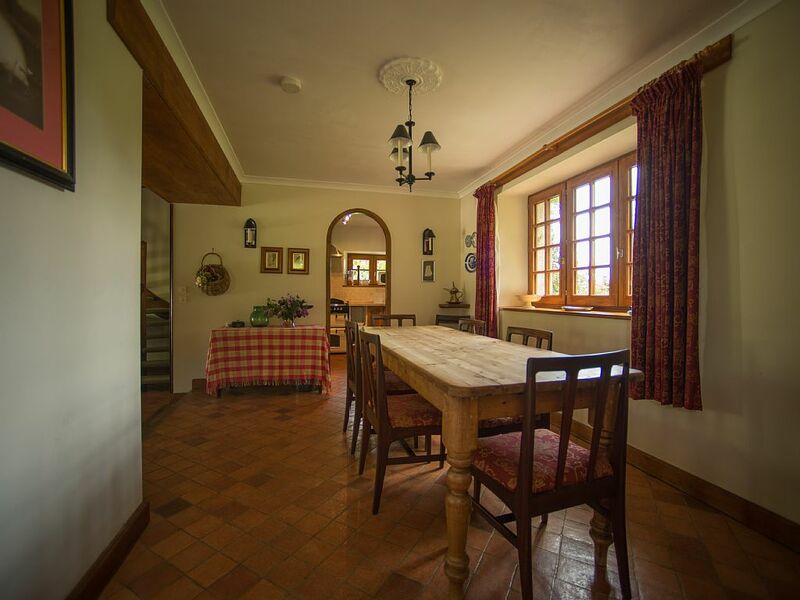 The cottage is a large & spacious converted barn which sleeps 8 people comfortably with plenty of extra room for babies in cots. 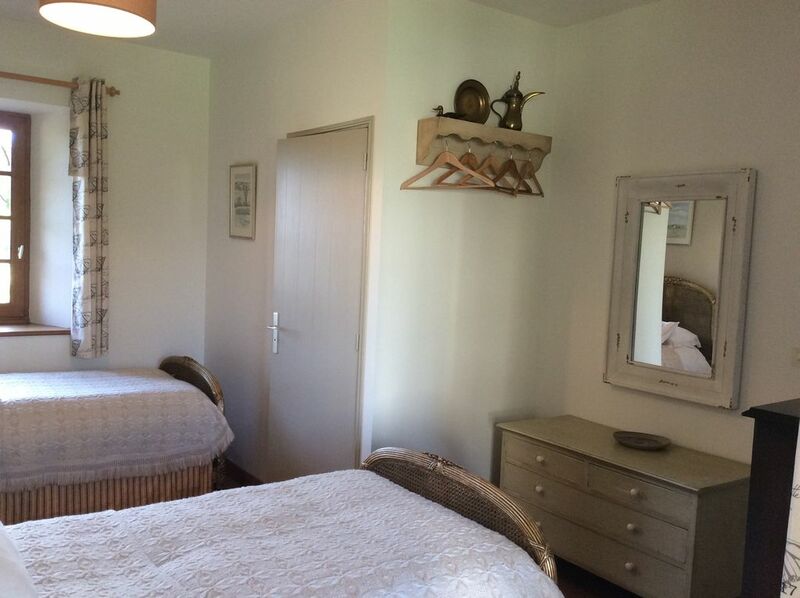 Upstairs the cottage has 2 double bedrooms, one with an en-suite & one twin room. 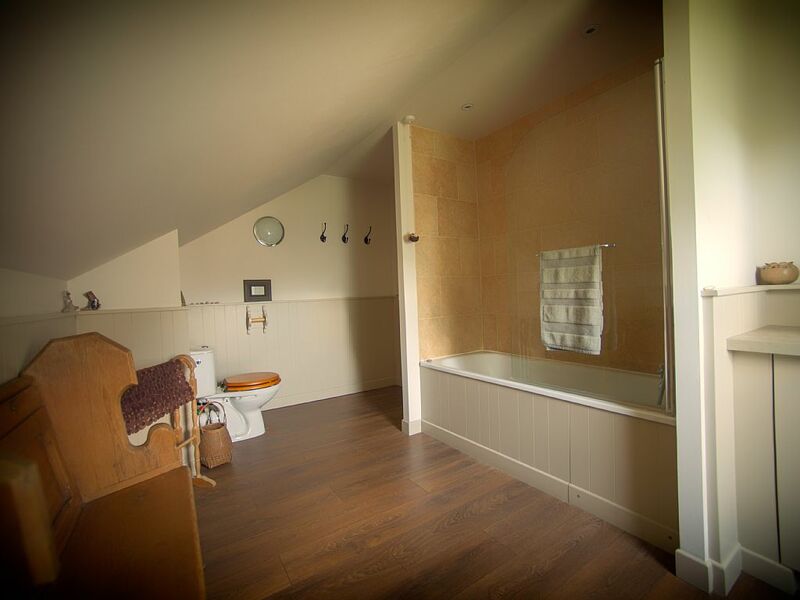 There is also a large family bathroom with a bath, shower, hand basin and loo. 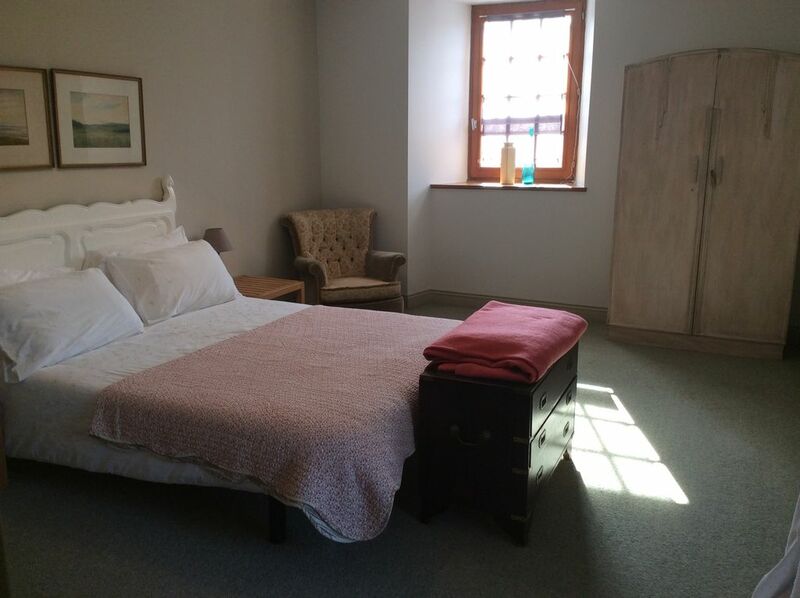 Downstairs is a second twin room with a loo & hand basin leading to a utility room with a washing machine & tumble dryer. The lounge area is a huge beamed open planned room complete with baby grand piano, log burning stove & comfortable sofas. There is an original VHS video player & cassettes plus a DVD player. The cottage has lots of games, music and books to choose from. 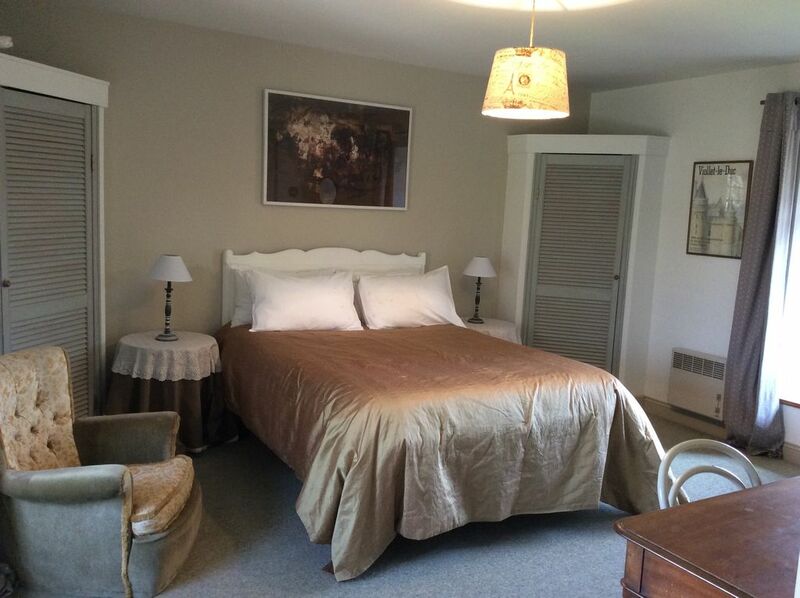 The dining room leads off from the lounge area & into a fully equipped kitchen with a full size cooker, microwave, toaster, coffee maker and dishwasher. The dining area has a back door which opens onto a covered terraced area for outdoor dining. 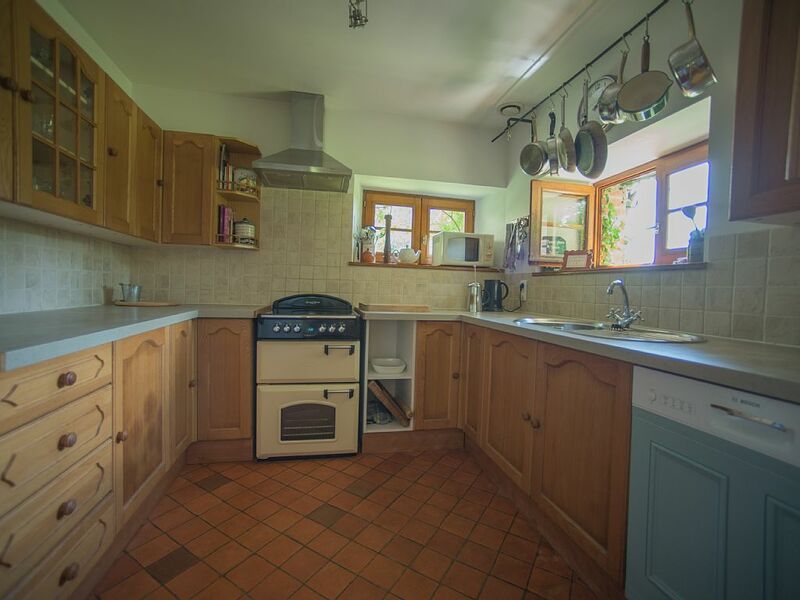 Private gardens & a BBQ are all inclusive of Pond Cottage. 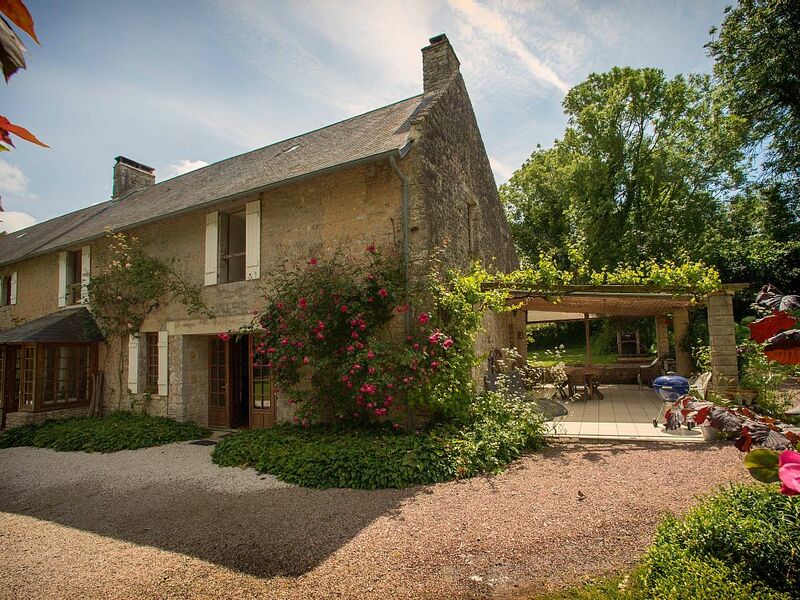 Within the grounds of the chateau, there is a natural swimming pond, a hot tub, a ping pong table, table football and an honesty shop with the essentials. In the summer months, The Bread Fairy is out & about delivering pastries & French bread to your door every morning. The cottage is fully double glazed. 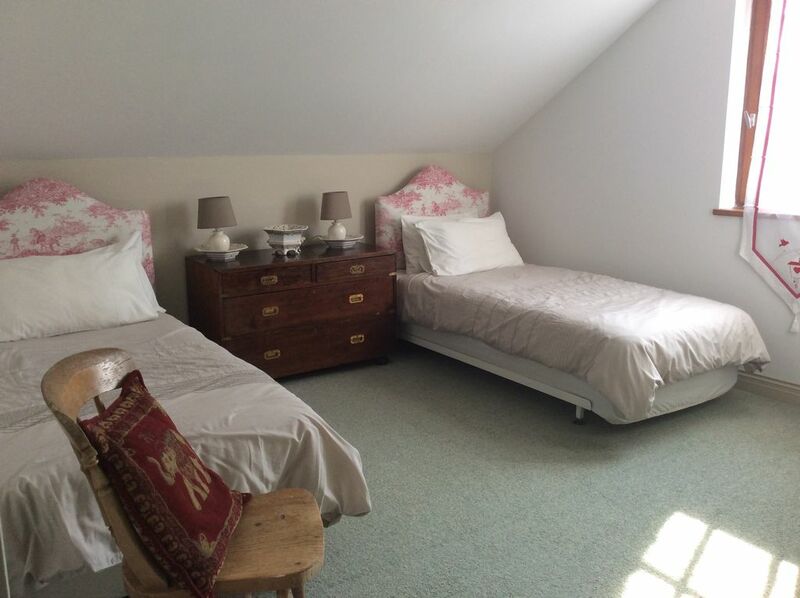 The rental rates include bed linen, towels and tea towels. A goodie basket of wine, bread, eggs, butter & milk are all there to get you started on your holiday’s. For more information on terms & conditions go to the ‘contact us’ page.